Hi everyone! Welcome back. Today is Sunday, January 2, and we started out the day by going to church. Our Grand-boy slept till 9:30, so we were late to Sunday School that started at 10:00. We got there about 10:20. After church we came home and ate lunch. My #1 daughter and Grand-boy went to babysit for friends who had a death in their family. I started out the afternoon by planning what's for dinner: beef stroganoff (because we have mushrooms to use in the fridge), and fresh bread. The beef stroganoff was made from scratch, our own beef chopped steak, and home canned cream of mushroom soup. Pappy said it was delicious. Now tonight, as I start the office and computer work, there are cookies baking in the oven and tea to make for tomorrow, before bed. 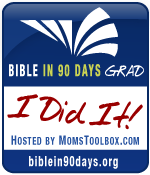 I also emailed my ladies in the B90 Day reading group that starts tomorrow. I renewed our ads on craigslist, and answered some rental calls. Now on to the farm chores. Before we start there, I wanted to show you what I got for Christmas. A LEM Dehydrator. I read up on how to do some drying today, but didn't start. I was going to do some oranges, but it sounded like more work than I had time for today. So we'll schedule that project for another afternoon. After Church, Pappy started the day by picking up a free load of firewood at one of our rental properties. He then went to one of our pastures and repaired the cows water line. 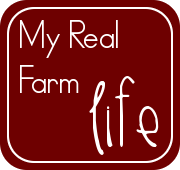 When Pappy got home, he serviced the tractor, and worked on the feed wagon again. We need to plan to get a load of propane this month, and a load of livestock feed. Pappy updated his Nationwide account. He retired recently, and he plays around with his retirement money account, making money on trades. The last chore of the day for Pappy is working on walnuts. You may not know this, but black walnuts are almost impossible to shell. Pappy does about 50 nuts at a time. He preps the walnuts for shelling by letting the hulled nuts set up inside for a week to dry thoroughly. This makes them cleaner and easier to take the hull off the nut. After he is done, he passes them along to me for the year's baking.